Want to know how to stop wasting food? 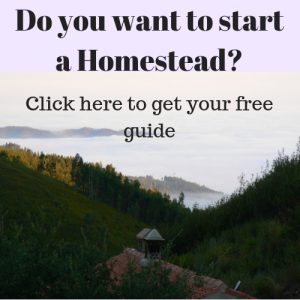 Home » Homesteading for beginners » Want to know how to stop wasting food? I found two interesting cookbooks that each have an interesting but different approach to solve the problem of wasting food in your kitchen. While Victoria Glass gives you lots of recipes, Dana Gunder leads you through methods of optimising the organisation of your shopping and kitchen. Both books provide you with practical tips to tackle the problem of wasting food. 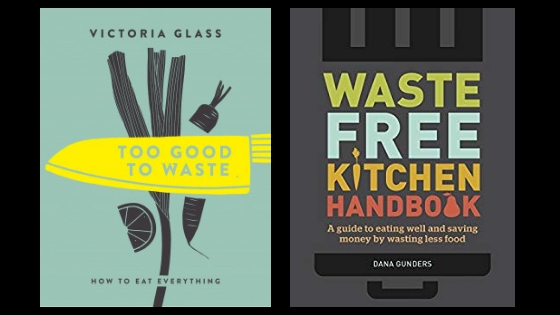 Here I give you a quick impression of the books and how they can help to solve your problem wasting food (to find out about Dana Gunders book scroll down). This blogpost contains affiliate links. By using them you support our homestead. How does this book help you to waste less food? What do I like about the book? Are you a somewhat experienced cook that is able to cook from a recipe book? And would you like to waste less from your bought vegetables and ingredients? Do you want to save money (who doesn’t)? Then this is the right book for you. The book will, amongst other things, teach you how to use vegetables as a whole without throwing away any part of it. Leftovers can be remade into nice dishes again, so they do not need to go into the bin. And what about the leafy stuff, like watercress, that is left in your fridge and got shrivelled because you had no time to use it? No problem, instead of tossing them away you can make a nice wonton soup. And there are many more things that you can do with shrivelled leaves, it’s all in Victoria Glass’s book. It will help you to cook more efficient in a stylish but simple way with an exotic touch. There are some really cool recipes for: fish skin, chicken skin, sour milk, last night potato mash, broad bean skin fritters, pumpkin skins, stale bread, strawberry tops and much more. Victoria Glass’s cookbook is for the average cook. I think the book is an all (wo)man’s friend that will guide you to a new way of cooking creative and delicious meals. The recipes are clear with ingredients that you most likely have in your kitchen. That makes it into a cookbook that is suitable to use on a daily basis. With non complicated yet innovative recipes. And the main thing: it serves the purpose to waste less food. The book gives a good accessible explanation of how to change your household into a less food wasting one. Are you looking for everyday strategies to waste less food? This handbook provides you with some practical strategies. With small adjustments of habit in shopping, portioning and the organisation of your refrigerator it provides you with useful tools. Useful too is that the book shows you how to make the best of products that are on their way of getting wasted. Like making applesauce from bad apples and making muffins from frozen almost dead bananas. Simple things that will help you. For those who are not already used to do so there is guiding for freezing, pickling and cellaring. A bonus is that you will find a list in the appendix that tells you the lifespan of each type of food. Not by date but by telling you how to know when it goes bad. It then learns what you can do to lengthen the products lifespan. I like that Dana’s book unravels the reasons why food gets wasted in the average kitchen. These reasons are not just made up, they are based on a solid investigation that Dana Grunder did as a Senior Scientist for the Natural Resources Defense Council (NRDC). She produced an issue paper that is called: Wasted: How America Is Losing Up to 40 Percent of Its Food from Farm to Fork to Landfill. Based on the knowledge she gathered for making this scientific paper, her book gives the tools to solve the problems that lead to the wasting of food on an everyday basis. Her handbook makes clear that wasting food is not just about using recipes, but it is also about habits in life and the organisation of the kitchen. I think that gives the book it’s additional value to just being a cookbook. The recipes are supportive to make the book into a complete compass for you to become a mindful consumer. Dana is a Senior Scientist at the Natural Resources Defense Council (NRDC) and one of the first to bring to light just how much food is wasted across the country through her report, Wasted: How America is Losing Up to 40% of Its Food from Farm to Fork to Landfill. Part of the conclusions of this report led to the content of Dana’s book.